MoreBeer! 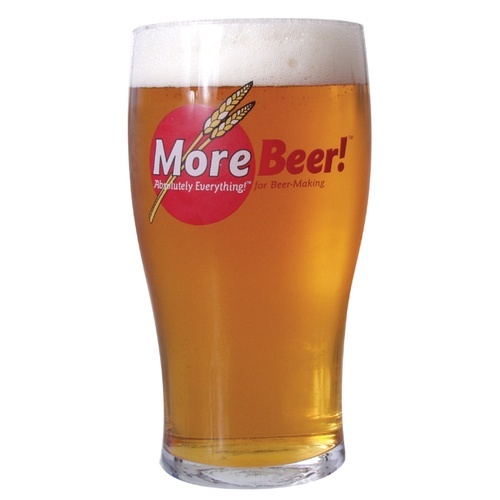 Imperial Pint Glass - 20 oz. We vote the Imperial Pint Glasses as the best every-day beer glass. They look cool, hold more than our 16 ounce shaker "pint" glasses, and the shape of the glass helps funnel the aroma of your beer better than those straight-walled glasses. Update your pint glass collection today! Because I like you guys! Very satisfied with previous home brew orders! Need a big glass to pour bombers into. had them before, perfect beer glasses, nothing else compares. The shape fits the hand better than a traditional pint glass. BEST ANSWER: Hi Mike - The requested information is not evident within our available product information. We have recorded your email address and will reach out to you once we hear back from our product team regarding the nucleated glasses question. The only thing missing is the crown stamp a perfect pint glass. I have used a variety of glasses over the years but I have been getting a little tired of the same old styles (in particular the standard pint glass). I just tried this one out and I really like it. You can fit a decent amount of ale in it and it seems to be perfect for drinking and smelling ale at the same time. The glass is a little on the thin side (like a carny glass) for $4 but I guess that saves on the weight or something. I would like it a lot better at $3. This is a follow-up to my review: I LOVE THIS GLASS. This is absolutely my go-to drinking glass now. The next time I place an order I am going to get at least a couple more of these. I described this before as being similar to carny glass. That is actually an insult to this glass. If I ever get my brewpub going these are going to be the glasses that I am going to use. Warning: This baby flat holds the suds and if you drink like I do you will be walking sideways fairly rapidly. 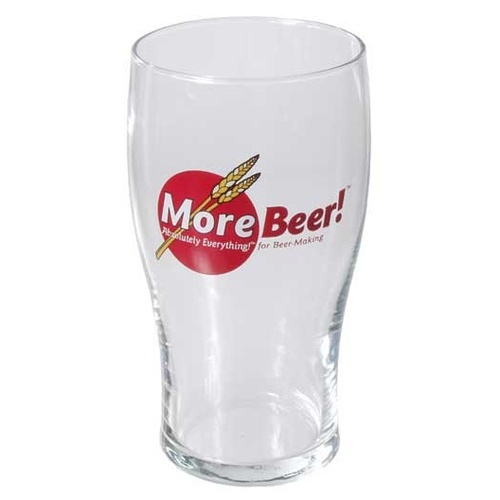 Perfect size, Love the morebeer logo. Fits nicely in hand , seems dishwasher safe, doesn't break easly, extensive testing completed in my impact laboratory. This product does not come with any instructions.